For Receiving Calves: Travel-Lyte provides the rehydration, nutrition, electrolyte replacement, and energy that young calves need for a good start. 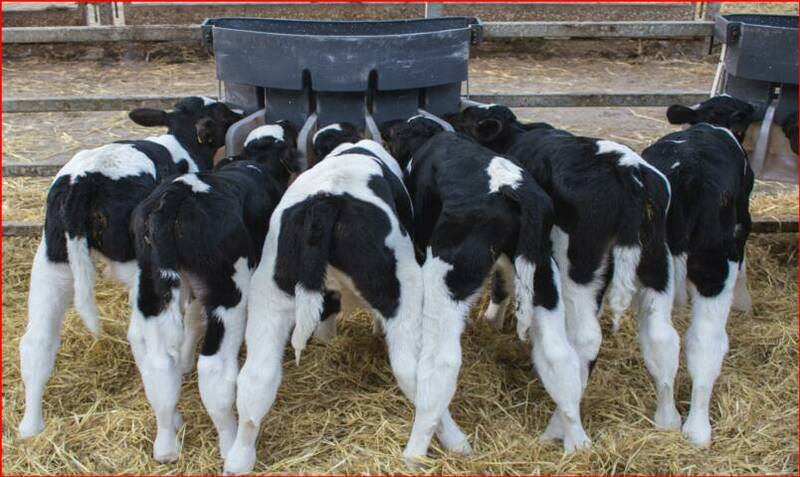 Prior To Shipping Calves: Travel-Lyte creates a "reservoir" of fluid, nutrients, and energy which calves can draw upon to reduce tissue shrinkage. 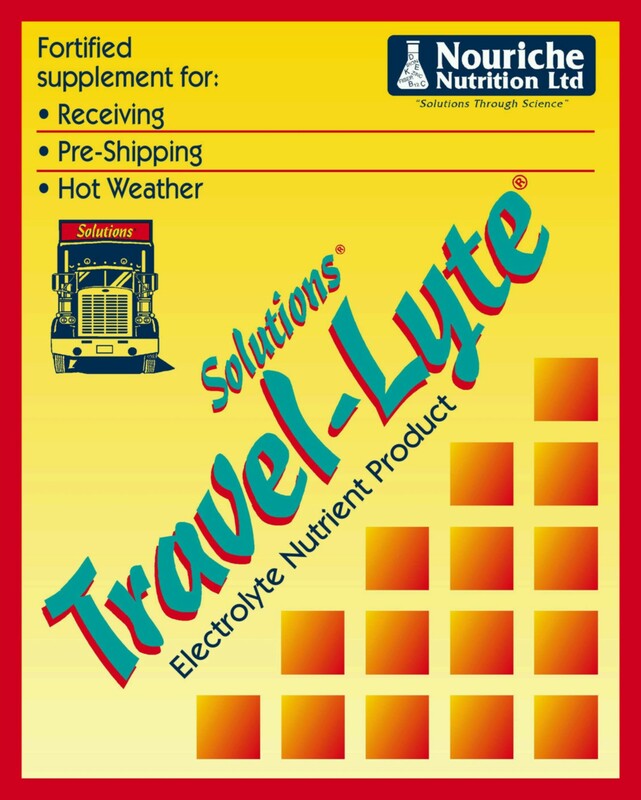 In Hot Weather: Travel-Lyte provides vital fluid for respiration and transpiration to keep pace with body cooling. Need for water intake dramatically increases when temperatures rise above 75 degrees F. Feed 2-3 gallons of Travel-Lyte per day between feedings. conductor of water into the blood. 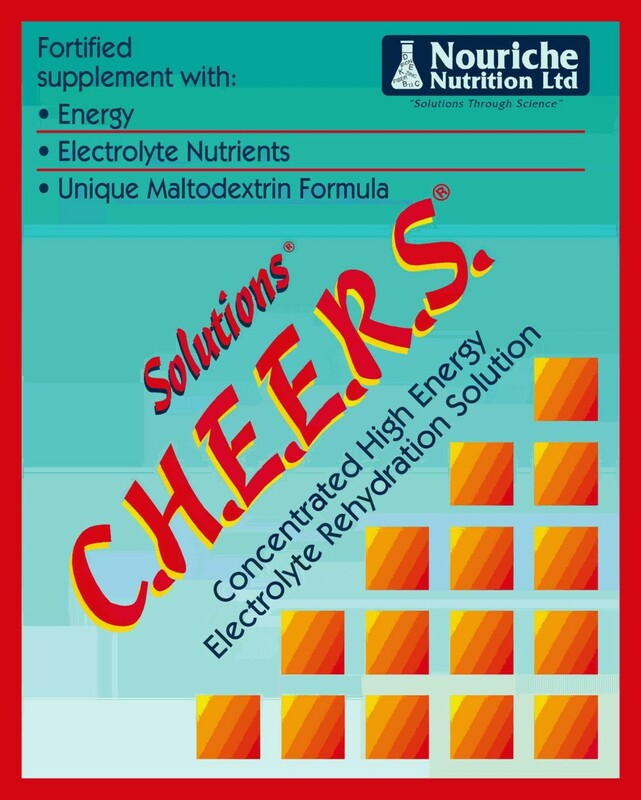 - Provides fast supply of energy. - Need for B-Vitamins increases during times of stress. Transport causes weight loss in cattle. During shipping research, calves given 2 quarts of electrolyte solution lost only 7.5% of their body weight versus 9.4% for untreated control calves. 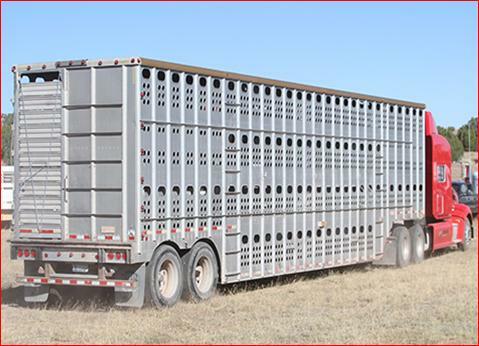 Quality attributes known to be degraded by transportation and handling stress include meat pH, color, texture, moisture retention, tough-ness and palatability. Duration of water depriv-ation, increased respiration rates and urinary water loss during transport all contribute to dehydration, electrolyte imbalances, acidosis and, at times, death. 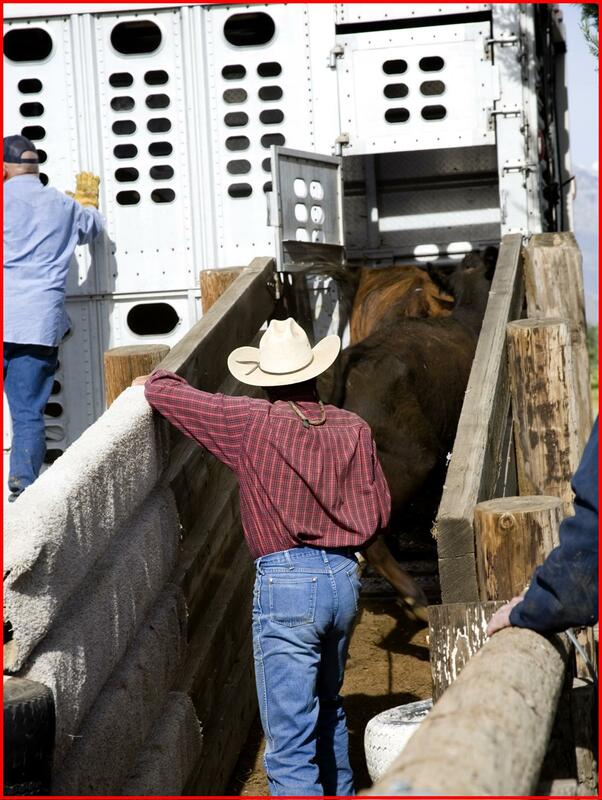 Transportation and handling are reported to be among the most potent stressors for cattle, evoking increases in Cortisol (the "Stress Hormone") plus release of other stress hormones and alternation of numerous blood cell components. These autonomic responses are, in part, responsible for reduction in animal well-being and meat quality attributes. For baby calves, the trauma of shipping can have life threatening and lifelong effects. 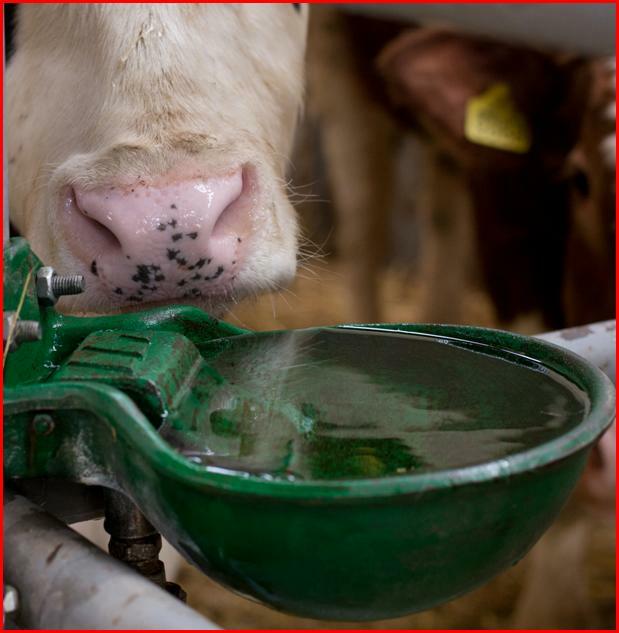 Remember, a baby's calf's body is made up of over 75% water and all calves must consume approx-imately 10% of their body weight in fluid each day. During the first week after arrival, feeding schedules may not supply enough needed water, especially due to shipping upset and small gut capacity.